Last week, we presented another slate of four candidates for our next One LibraryThing, One Book read, and asked for your opinions. Thanks to all of you who voted! With 154 members voting, three of our selections (The Age of Miracles, Salvage the Bones, and The Flamethrowers—in that order) were extremely close. That said, The Penelopiad blew those other three out of the water entirely, and was our clear winner! 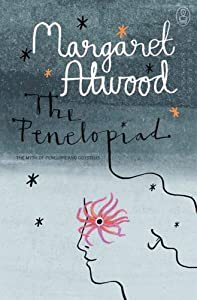 Originally published in 2005 as part of the Canongate Myth Series, The Penelopiad follows the experiences of Penelope, Odysseus’s wife, throughout the events of Homer’s Odyssey. It’s an interesting take on revisiting a familiar, classic narrative through a different perspective. If you haven’t joined us for One LibraryThing, One Book before, I encourage you to stop by the introductory blog post to catch up on the basics. Official discussion for The Penelopiad will kick off Monday, June 2nd, at 12pm Eastern. But that doesn’t mean it’s too early to get started! If you’ll be reading along with us, or are still considering it, come say “hi,” in the “Introduce Yourself” thread. Have you read The Penelopiad before, or want to get discussion going while it’s still in progress? Share your (spoiler-free) thoughts in the “First Impressions” thread. We hope that everyone who voted (particularly those whose top pick won!) will join us for the read! General questions or comments about One LibraryThing, One Book, are, as always, welcome here. Stay tuned to the One LibraryThing, One Book group for updates! I was happy to find this one as an ebook at my public library – downloaded it and started reading just minutes after reading the blogpost yay!